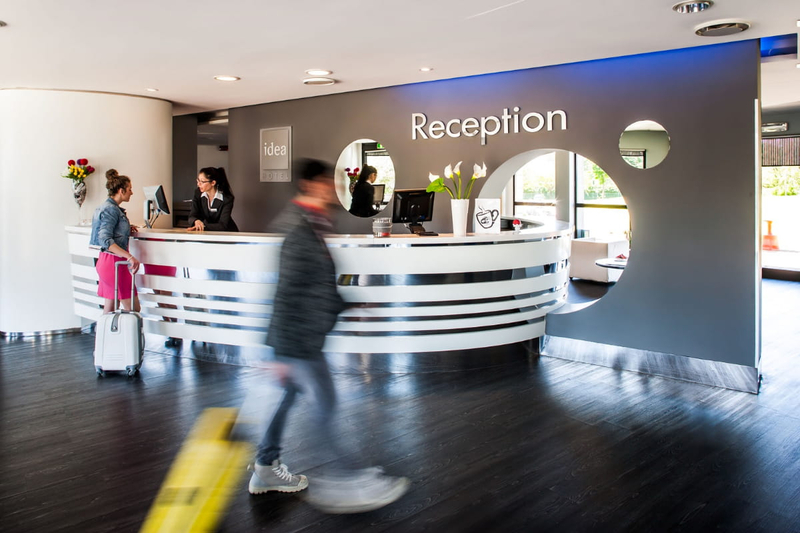 The Idea Hotel Milano San Siro is a 4-star hotel, located in the homonymous district of Milan, near the Meazza stadium of San Siro and easily accessible from the West Ring Road. The modern style and the design of the furnishing elements combine to create a colorful and relaxed atmosphere, especially in the common areas such as the hall and the breakfast room. 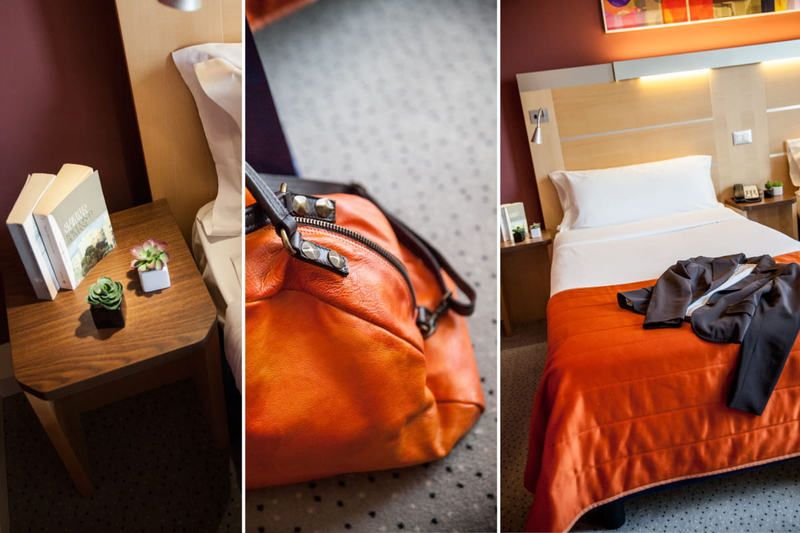 The Double Room for single use (DUS) is furnished in a modern style with two version beds: a King Size 180x200 or two single beds 90x200. The room is equipped with air conditioning, telephone, TV, safe, minibar, hairdryer, private bathroom with shower and courtesy set. Modern and functional furniture. WiFi connection and breakfast always included. The Double Room is furnished in modern style with a King Size bed 180x200, air conditioning, telephone, TV, safe, minibar, hairdryer, private bathroom with shower and courtesy set. Modern and functional furniture. WiFi connection and breakfast always included. 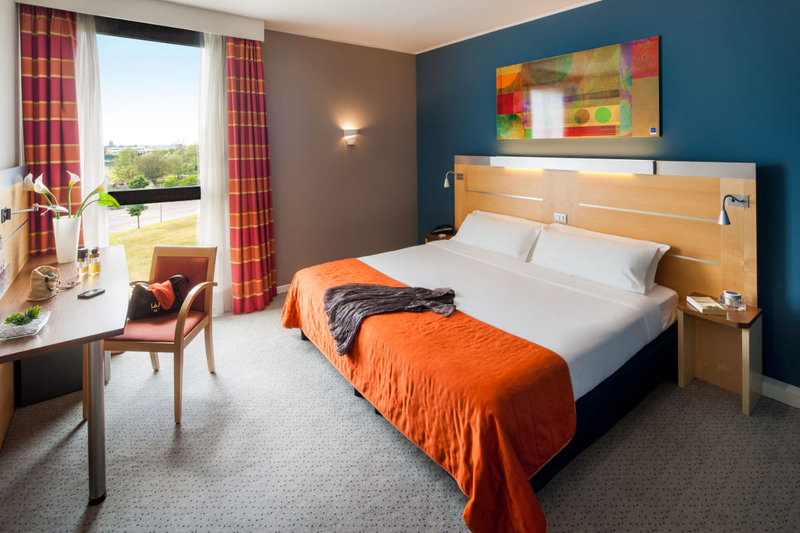 The Standard Twin room is furnished in modern style with two single bed 90x200, air conditioning, telephone, TV, safe, minibar, hairdryer, private bathroom with shower and courtesy set. Modern and functional furniture. WiFi connection and breakfast always included. 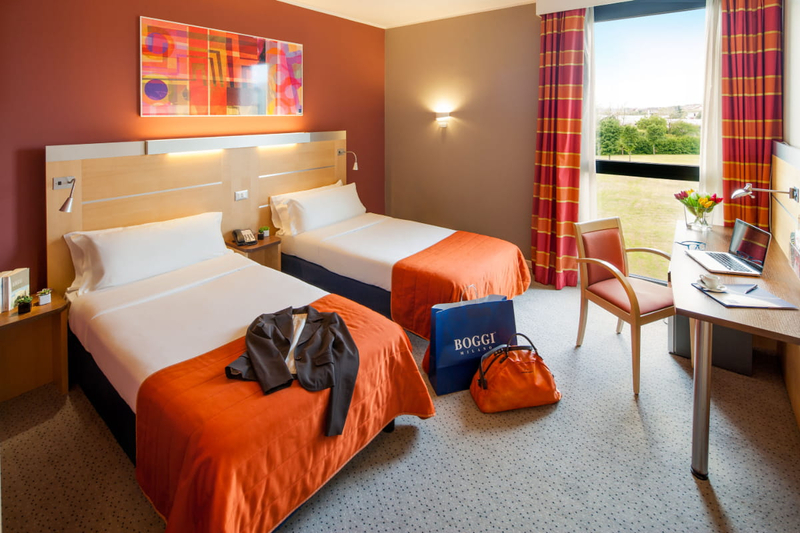 The Triple room is furnished in modern style with one french bed size 140x200 and a sofa bed, air conditioning, telephone, TV, safe, minibar, hairdryer, private bathroom with shower and courtesy set. Modern and functional furniture. WiFi connection and breakfast always included. The Quadruple room is furnished in modern style with two single bed size 90x200 and a sofa bed 140X200, air conditioning, telephone, TV, safe, minibar, hairdryer, private bathroom with shower and courtesy set. Modern and functional furniture. WiFi connection and breakfast always included. 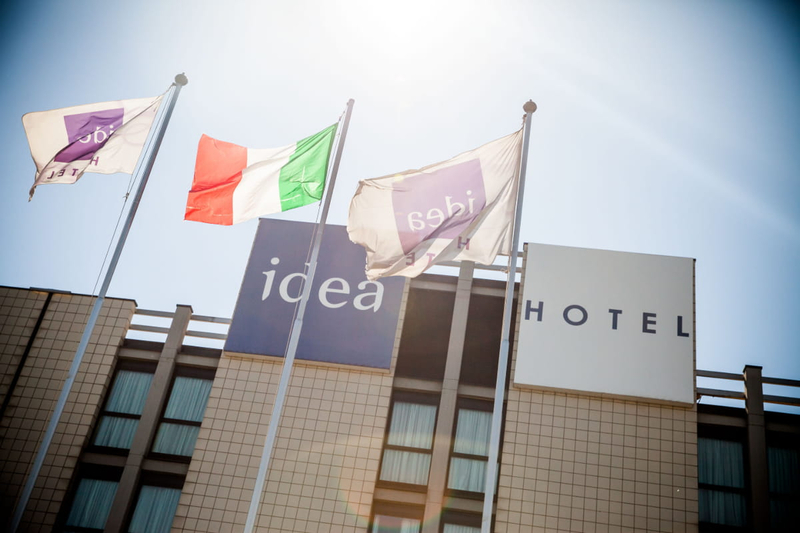 The 234 bright soundproofed rooms at the Idea Hotel Milano San Siro are characterised by the simple yet functional style to offer maximum comfort and relaxation. 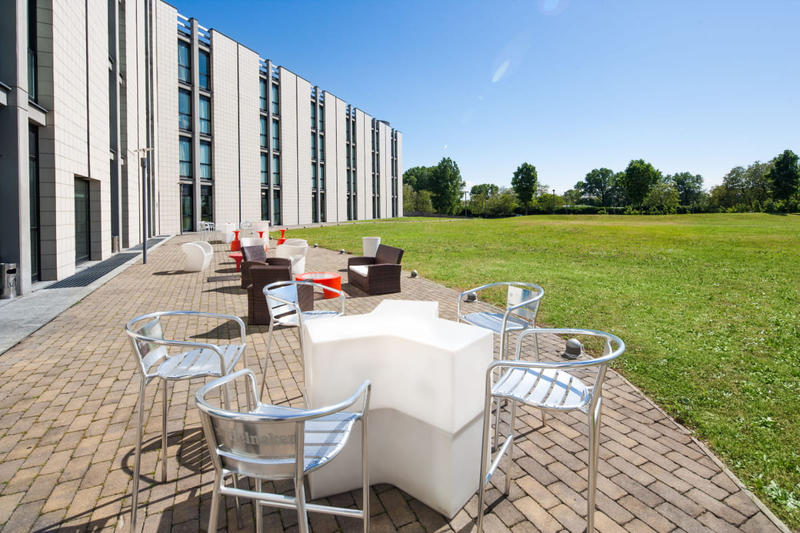 The Idea Hotel Milano San Siro has WiFi Internet access (FREE) in the rooms and public areas. There is also an indoor parking fee (€6 per day). (The Minibar is only available upon request). 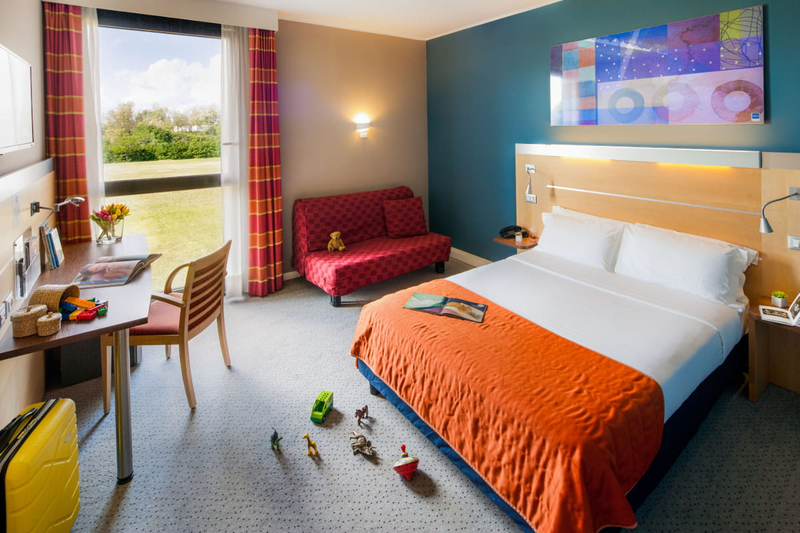 For children aged 10 years, a surcharge is provided for the additional bed on the room's cost; Children from 0 to 9 years old stay free of charge and adjoining family rooms are available. SMALL PETS ARE ALLOWED AT A COST OF €10 PER DAY. 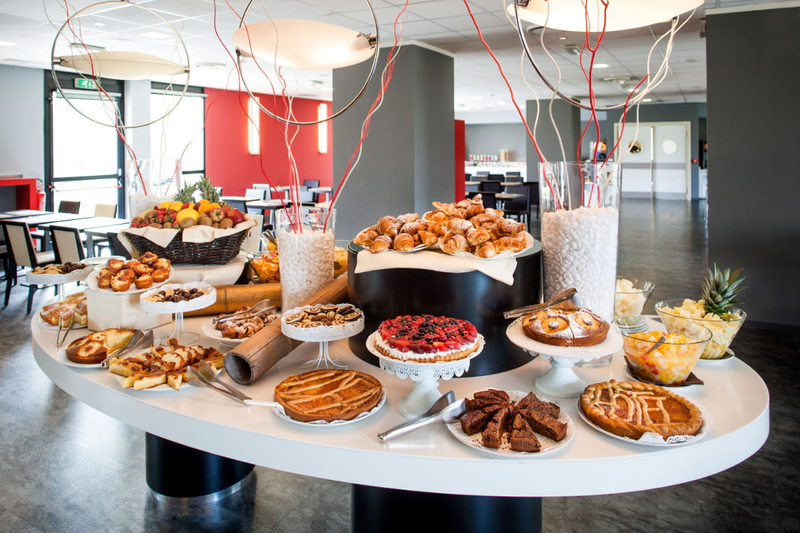 The real strong point of the Idea Hotel Milano San Siro is the breakfast. Every day you can taste the homemade proposals with first choice ingredients and light and delicious recipes. The hotel's Restaurant "Il Meneghino" offers a selection of Italian dishes and is the ideal place to organize business breakfasts and dinners. In the centre of the hotel lobby there is the Lounge Bar, where you can taste excellent aperitifs, with finger food and imaginative cocktails for a true Milanese Happy Hour. 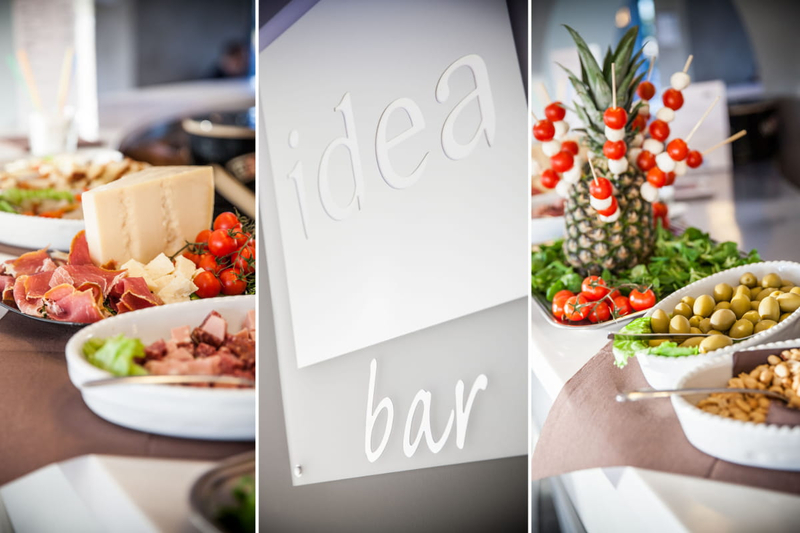 The Restaurant as the Bar of the Idea Hotel Milano San Siro opens at 19:30 until the 22:30 every night. Services Nearby: A few meters from our hotel Idea Hotel stands the theme park "Aquatica" and various shopping and local areas of all kinds. The city centre, such as the fashion quadrilateral and the most glamorous places in the city are within easy reach, thanks to our FREE SHUTTLE BUS. Click here to download the schedules. 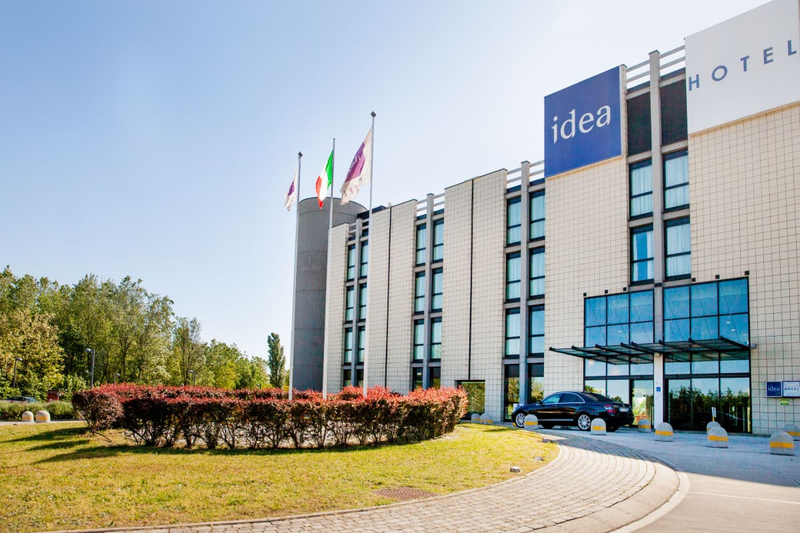 Idea Hotel San Siro - Located at the ground floor with an occupancy of 80 seats, equipped with natural light, WiFi connection and video equipment. Salone del Mobile, HOMI, Fashion Week, BIT tourism and much more! If you use a GPS device to reach the structure, you can enter the following address: Via Gaetano Airaghi, 125 Milan or click here to open the map and set the navigation. From Milan Malpensa Airport (MXP): Set up the navigation by clicking here! 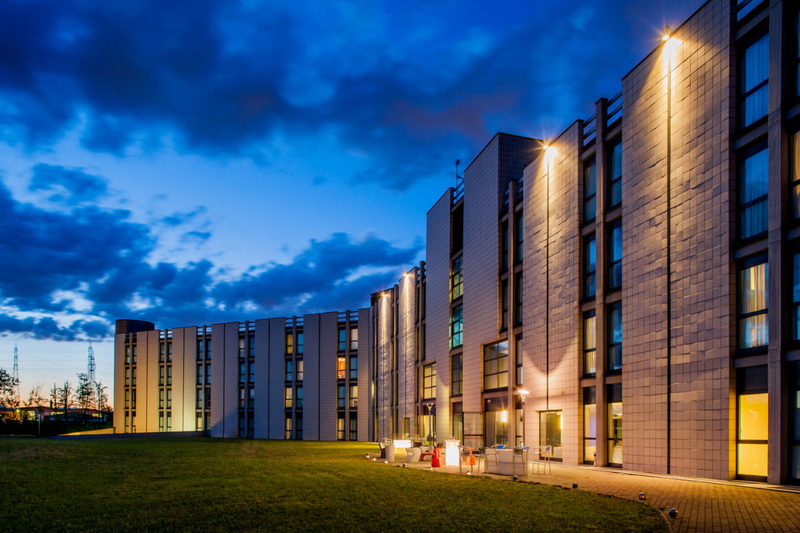 The Idea Hotel Milano San Siro offers a free shuttle service from the hotel to the Lille M5 Metro station, San Siro stadium, and vice versa, at predetermined times. Click here to download and view the timetable of the free shuttle. Upon availability you can also take advantage of the private transfer service for the Metro and other destinations in the city. Alternatively: from Milan Central Station take the Metro Green Line M2, Central FS, direction Abbiategrasso or Axago and get off after two stops at the Metro Garibaldi FS. From here continue with the Lille line M5 underground towards San Siro Stadium and get off at the last stop. Continue by bus 423 and get off at Via Airaghi/via Q.to Romano in front of the Idea Hotel Milano San Siro. Click here for the path by setting the navigation. 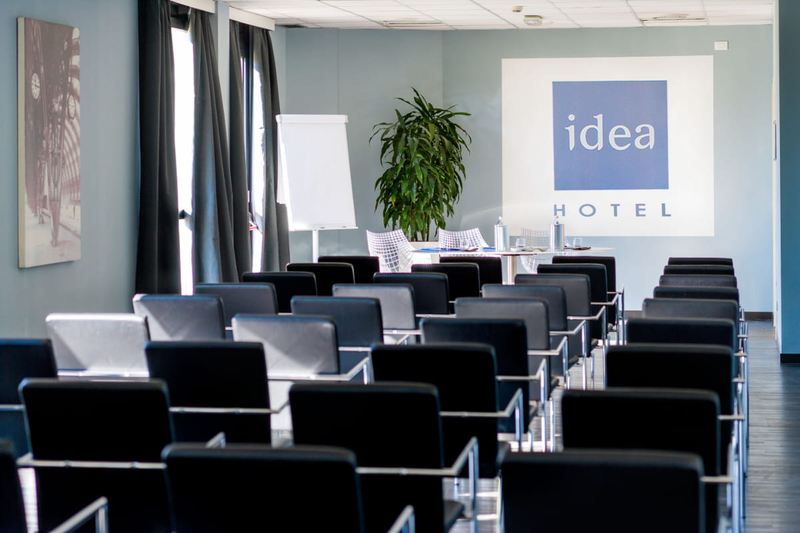 Enter your email to keep informed about promotions, offers and events on Idea Hotel Milano San Siro.